Please contact us with your suburb and postcode for pricing and a delivery quote. 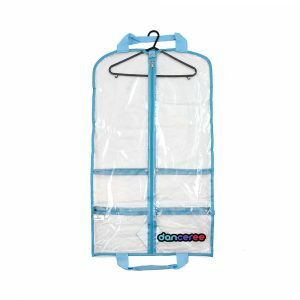 Are you looking for the ultimate dance bag for dance competitions? You’ve found it ………… the dancer’s Dream Duffel. 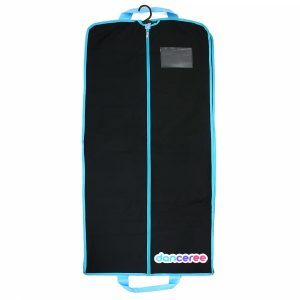 This rolling dance bag is an essential addition to any dance competition. With everything from a one-touch telescoping costume rack, garment bag and accessory box to a folding stool. You get smart, convenient storage and a handy competition garment rack all in one. Travelling to and from competitions with ease. Protecting the appearance of costumes and accessories. Ensuring comfortable stress-free wardrobe changes during shows. Avoiding the heartbreak of forgotten items. Providing an insulated place for a sandwich or snack. Delivery charges will be anywhere from $20 – $100 depending on where you live in Australia. 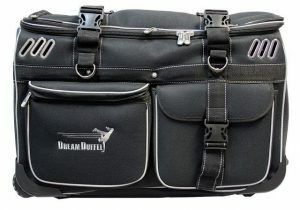 Large Dream Duffel on wheels (H17″ x W18″ x L35″). 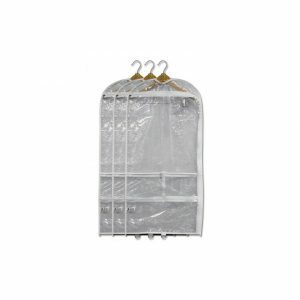 One touch 52″ telescoping garment rack. Insulated snack pocket and one plain pocket. Accessory box (7″ x 10″). Folding stool (seat height 17″). Two blank patches for personalising your bag. Medium Dream Duffel on wheels (H17″ x W17″ x L26″). Small Dream Duffel on wheels (H17″ x W15″ x L22″). This item is for delivery only (no in-store pick ups).